I was an obsessive Evernote user for over five years. Just about everything I needed was stored in Evernote. I had thousands of notes stored and meticulously tagged. At first, it was wonderful. When I started using Evernote, no other note-taking app at the time was able to sync your notes across all devices like Evernote could. It was genius. I even paid $50 per year for the service, which seemed worth it because it let me work on my notes while offline in the subway and upload more data per month than the free tier allowed. I began to ask myself why I was paying so much money for an app that was full of features I never used. All I needed was something simple that would let me jump in and jot down a few notes that would always sync across all my devices. It turns out the best app for what I needed was there the whole time: Apple Notes. Those features finally brought Apple Notes up to par with Evernote, but with a much simpler interface. I take tons of notes from interviews and meetings with my colleagues, and I’ve found it to be much more useful for what I need. Plus, it’s totally free. My notes take up a negligible amount of my iCloud storage, and I’m not limited to how much I can upload per month, unlike Evernote’s 60 MB per month limit for free users. Evernote also makes you pay if you want to access your notes offline. That’s not the case with Apple Notes. Even worse: Evernote just raised its prices. Business InsiderApple Notes on Mac. Of course, there’s the obvious caveat: If you don’t use all Apple devices like I do, Apple Notes isn’t the best option. 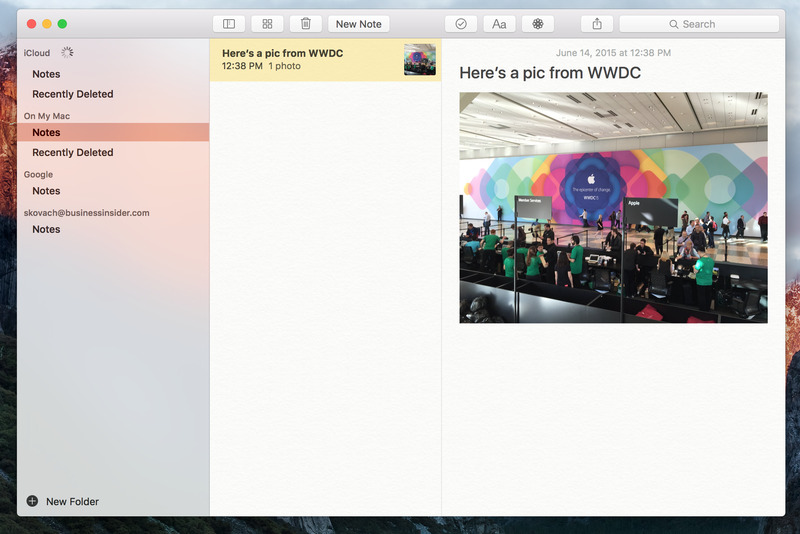 You can use the web version of Apple Notes through iCloud.com if you have an iPhone and a Windows PC, but it’s not as good as using the Mac version of the app. There’s another alternative: Google Keep, which works on everything. I haven’t tested Keep, but my colleague Ben Gilbert swears by it. And I realise Evernote might still be good for some people, especially if you like advanced features like geo-tagging and uploading lots of data. 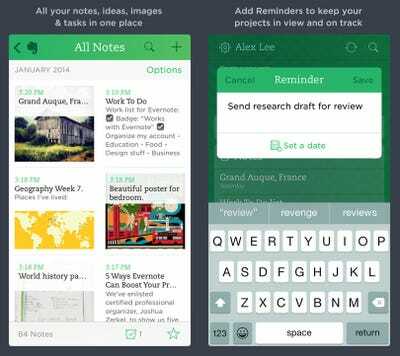 Evernote says it’s raising its prices to add even more features for those power users. But for me, I just need something simple. It turns out the best option was living on my iPhone the whole time.